Celebrate this lunar New Year with them. 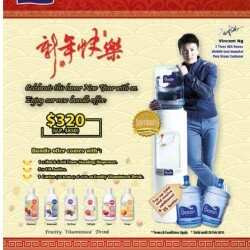 Pere Ocean offers Singapore’s Favourite Mineral/Distilled Water. Enjoy their new bundle offer @ $320 (UP: $850).